Do you ever struggle with the feeling that you’re not good enough to homeschool? Me too! 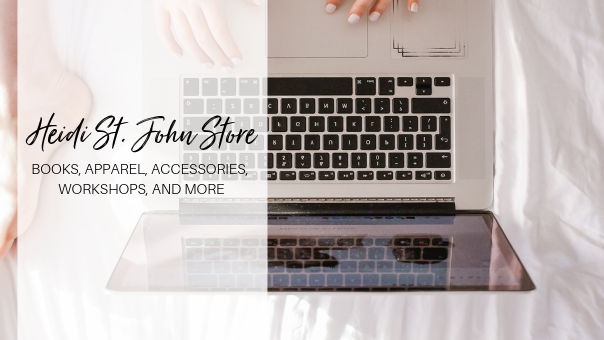 I’m blessed today to introduce you to a new friend here at the podcast. 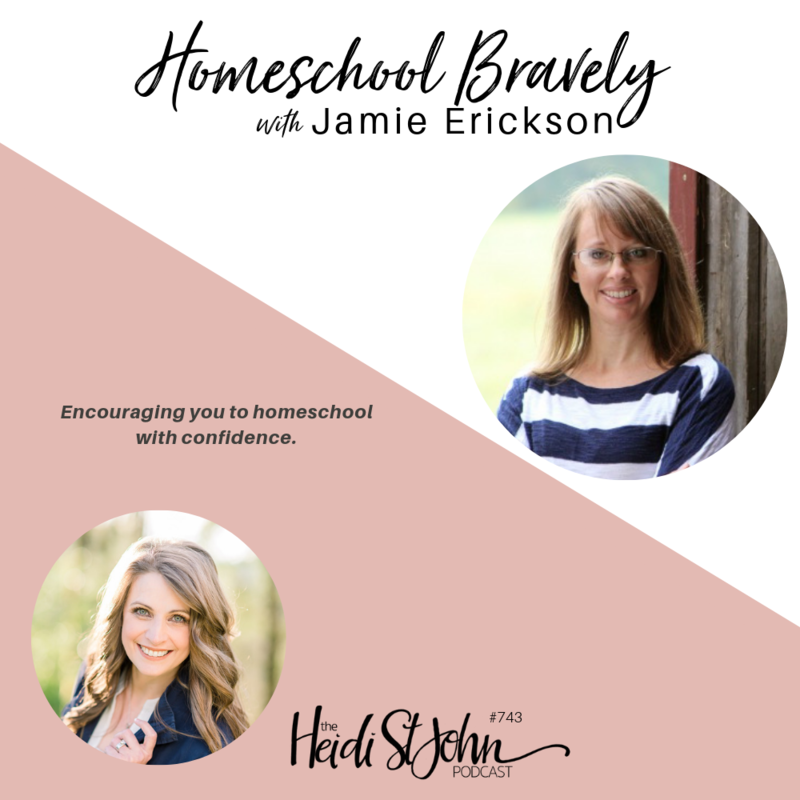 Jamie Erickson is a mother of five and will encourage you to homeschool with confidence and courage as you follow God’s voice into new seasons of mothering and homeschooling. Be brave! God’s got you—and your kids—in His hands. Jamie Erickson is the daughter of the King, wife to “Mr. Right,” and the mother to five blissfully abnormal kids. 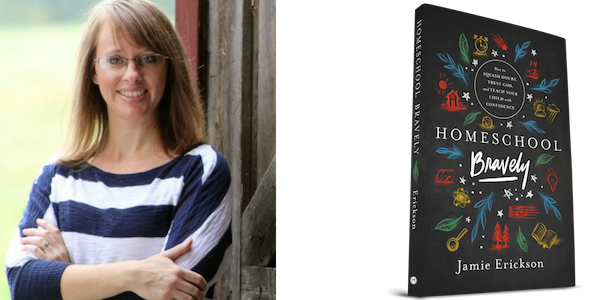 When she’s not curating memories, hoarding vintage books, or playing ringmaster to a circus of her own making, she can be found encouraging and equipping a growing tribe of mothers all across the globe on the Mom to Mom podcast, through her blog The Unlikely Homeschool, at national conferences, and in her book Homeschool Bravely: How to Squash Doubt, Trust God, and Teach Your Child With Confidence.